Radio and Podcast station for Inside Edge Hockey News. A National Hockey League media source that provides a variety of news about the sport of hockey. The Instigator - Episode 29 - Why is the Playoff Format Broken? The Instigator - Episode 27 - Who is the Right Captain? The Instigator - Episode 26 - Shootouts "It's a Mockery"
Welcome to the Inside Edge Hockey News Radio Show. We bring NHL hockey talk to you, the only way we know how: honest and unfiltered. The premise of the show is simple. I tell you the hockey truth, straight up! If your looking for great hockey discussion please give a listen. 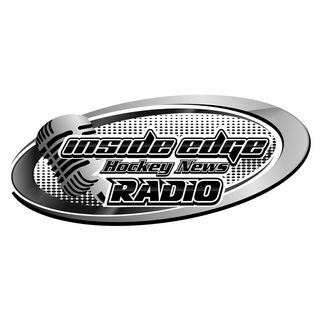 Inside Edge Hockey News Radio Show takes the website ... See More which started in 2010 to the next level. Let’s face it, it’s a busy world and not everyone has the time to read articles or posts daily. The Radio Show allows you to take us on the go. Listen on your commute or on your lunch break. Brad Burud is the host of the Inside Edge Hockey News Radio Show. Each show will feature opinions on recent hockey topics, guest and fan interviews, fantasy hockey insight, and hockey laughs. Burud is candid and straight forward on his opinions. He is passionate about his thoughts on hockey, and often is very controversial. The shows discussion will provoke in-depth thought into various issues involving the game of hockey. Guests will frequent the shows and add insight and further discussion (and the odd argument). Listener comments, emails, and tweets are encouraged. THE DEBATE Hockey Podcast is a no-holds barred one-on-one debate between two hockey fans. Each episode features three topics of debate. All topics center around the National Hockey League. It can get heated, and it can be comical. Sometimes irrational, hell that’s how fans act. The hosts tell it like it is, plain and simple. Either ... See More way it is entertaining and will stir up thoughts (and maybe tempers) amongst all hockey fans. Thanks for tuning into THE DEBATE Hockey Podcast. When controversy happens in the hockey world, that's when we step up with an opinion. The Instigator is a short podcast that breaks down current and controversial plays or topics within the hockey world. The host Brad Burud tells it like it is, and does not hold back on emotion or controversy. The shows discussion will provoke ... See More in-depth thought into various issues creating controversy within the NHL. You will agree with some, but whole heartedly disagree with others -- that is what brings you back.